Casino R.S.M. 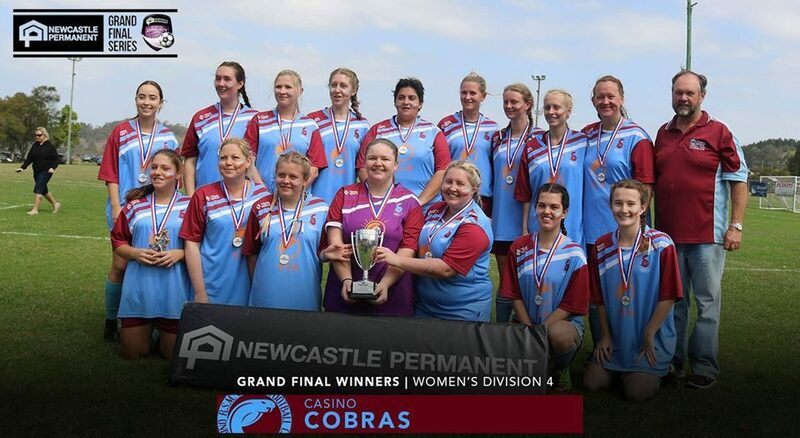 Cobras Football Club – An Association Football Club from Casino, NSW. Miniroo Muster day Friday night 12th April at Colley Park. This is a meet and greet session. Rego closes on the 2nd of March this year due to FFNC team submission. Spaces are limited in some teams.. Get in quick. Just to make things clearer for 2019 registration. This is a new system in place. ALL REGISTRATIONS ARE TO BE DONE ONLINE. Everyone needs to create a new account. Parents of underage players need to set up a parent/guardian account before you register underage players. All payments can be made online or you can drop down to pay the fees or remainder of fees. Please remember to apply for active kids voucher beforehand. Payments can be done by Card or by direct deposit. Details are on our website. Online registration open February 1st. Matildas’ star, Michelle Heyman visit Thursday 7th Feb at 6pm at Colley Park. Registration and information days in the Jupiter room at the RSM are on the 9th and 16th Feb 2-5pm. Some apparel available. Miniroo Muster day Friday 12 April. Miniroo games commence Sat May 4th. Here is the info and prices you need.